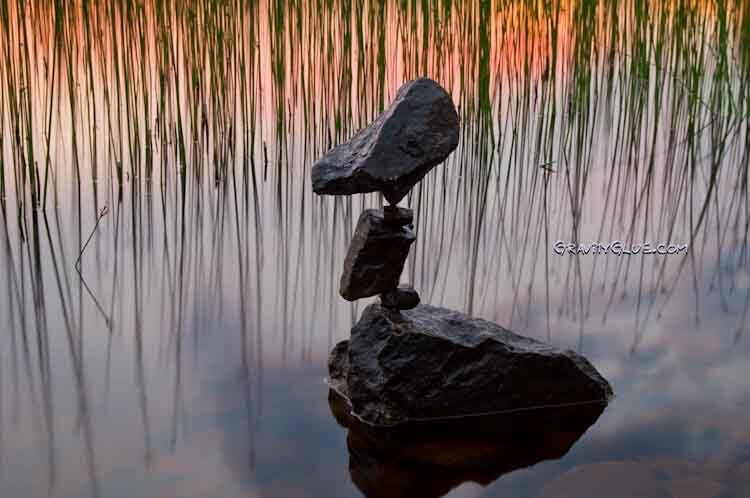 Balancing Act: Balance is vitally important in our lives. Let's see how. 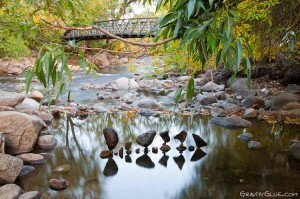 Have you even seen the incredible rock balancing that some artists do? I love them and recently reflected on how they are a rich metaphor for balance in our lives, offering lessons and insights, and questions to ponder. Before I explore the metaphor, have a look at this fascinating time lapse video. Balance: What does it mean? Why is it important? How do we find it? 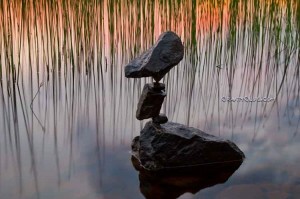 What are the ‘rocks’ that are our own personal challenge to balance, and how do these change over time? What happens when our towers topple? 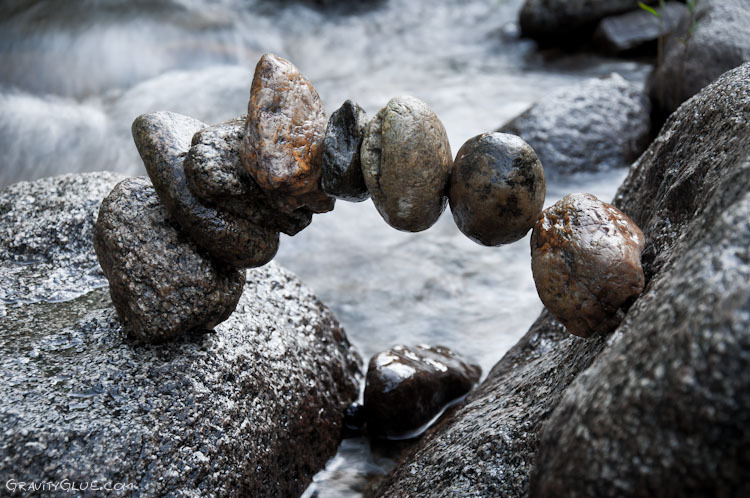 How does our balance depend on others? I was musing last night about some of the areas we may need or try to balance in our lives: our inner and outer lives; being in the world but not entirely of it; attention to self and other; work and play; assertion (standing up for ourselves) and empathy (walking in the other person’s shoes); science and the humanities; saving and spending; giving and receiving; action and reflection… what others occur to you? And then there are those many areas of our lives where we have to deal with conflicting information — where we make choices, weighing and balancing the information, the benefits and risks. Health maintenance is just one topic full of such dilemmas. we hear that cholesterol is bad, keep it low, and cholesterol is an important element, its level varies naturally, and it does not cause cardiovascular disease; dairy is good for you, provides calcium and builds bones and dairy products are unhealthy for humans, actually leach calcium and should be avoided; supplements are essential for healthy nutrition and supplements are a waste of money and even detrimental to your health! Even cardiovascular exercise is surrounded with controversy. Happily there is general agreement that exercise in general is valuable — maybe the most important ingredient in health and functionality. But there is controversy and there are many different views on what kind and how much. So what are we to do in the face of these balance challenges and controversial choices? I’m not going to answer that question 🙂 The questions themselves are useful. I suggest letting them sink in, gently reflecting on which of the areas are relevant in our lives and how this may shift with the seasons of the year and our lives. As I’ve done this, I’ve realized for a balance that feels healthy and good to me, I need less computer time and more variety in exercise. I’m adding Body Rolling and NIA to my routines. Both provide wonderful balance — literally and figuratively. And I don’t turn the computer on before breakfast or late a night. I love the changes! •) We can’t force balance — we must gently feel our way, being attuned to detail, and also to the big picture as we add a new piece. 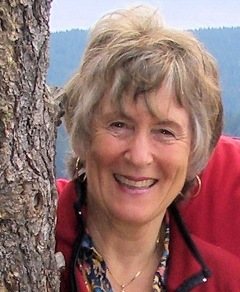 •) Change/shift/collapse can lead to frustration and anger, fear or despair. Or we can accept or even welcome the destruction of the old, and build anew. The choice is always ours. 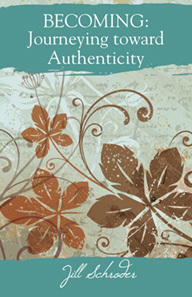 •) Each particular arrangement has its own beauty and gifts — this could mean the different balances we strike at various times in our lives, or the various lives different people live… We can celebrate the angles, the whole and the constituent parts… as they shift and change. •) Sometimes we don’t/can’t create our balance alone: we must, or have the opportunity to, take others, and the context, into account as we seek to establish our balance. •) It takes patience and sensitivity to establish balance — with rocks, or in life — and a puff of wind, or slight shake up can undo all the effort in an instant…and we can give up, or begin again! This list could go on and on, and I may add some in the next few days. But I hope some of the questions and images have resonated with you, touched your soul and spirit, and led you to enjoy some quiet breaths and moments of inspiration as you look at the Gravity Glue site, and read the musings and questions we’ve explored together. As always, your comments and questions are most welcome. Please feel free to like, share, pass this on. Letting our journey ripple out to affect others’ lives is what it’s all about!